Our clinic carries a variety of nutritional supplements. You can come pick up the supplements you need in person, or you can order them online and have them shipped directly to your house! Tinctures are herbal medicine extracts in an alcohol base. They have been used as medicine since the 13th century and have been a staple form of medicine for the last 150 years in the US. Tinctures are highly concentrated forms of plant medicine and 1 1/4 teaspoon can equal 20 capsules of the same herb! 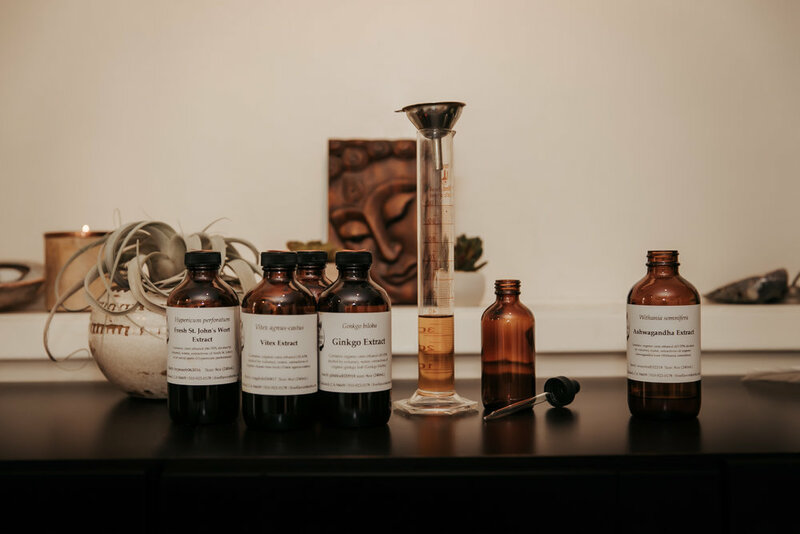 Our naturopathic doctors custom blend herbal tinctures in-house for our patients as part of a comprehensive treatment plan. SCNMC also carries a variety of pre-made formulas which can be purchased from the front desk without an office visit. These include “Dr. Fleck’s Immune Support”, “Sustainable Energy”, and “Respiratory Recoup”. For children and people who cannot take herbs in an alcohol base, we also carry non-alcohol containing glycerine extracts of herbs.